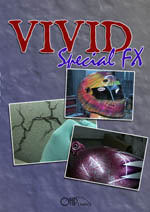 This "Vivid Special FX" package is HUGE - 3 hours of rock solid instruction. Nothing is left to chance. It's all step-by-step, explained clearly, and demonstrated in detail right before your very eyes. It's an astonishingly complete package that you won't find anywhere else. Total Run Time: 2 Hours 10 Min. (2 DVDs), Bonus Audio CD: 40 Min. Just simple, real-world custom body, paint and graphics secrets from a true customizing "master" . No bull... you've got to see it to believe it. Total Run Time: 1 Hour 55 Min. (2 DVDs), Bonus Audio CD: 44 Min. 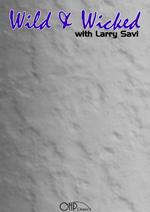 When it comes to custom painting, Larry Savi is considered one of the world's best. Larry's now willing to show you ELEVEN of the most popular, simple, and easy-to-learn tricks in a 2-hour "quick lesson" plan. "Wicked and Wild Special FXs" is powerful information that's a "must see" for guys who want to make money and have their work earn respect. 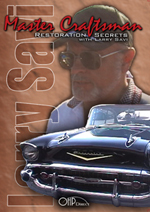 This DVD package will teach you the insider secrets to restoring cars and bike from the ground up. You'll learn how to take a restoration project from bare metal to final clear coat buffing. This includes fixing rusty trouble spots, repairing old crumbly bondo, filling imperfections, priming, painting and clear coating. Along the way you'll see how master customizer Larry Savi deals with all the unexpected problems that come with restoring an old ride (this is where the real value is, since these hiccups are where average guys throw up their hands and haul off their project to an expert). You'll also learn some insider tips on choosing the right project car. Bob Kovacs teaches you critical tricks to perfect "smooth as butter" paint mix... exactly which brush will allow you to pull those long even lines... the easy "roll of the brush" method to beautiful curved lines (this one will bring tears to your eyes)... the cool "pressure trick" to achieving paper thin lines and bold fat lines from the same "striper" brush (not hard once you know how)... 8 down-and-dirty "bread and butter" designs that look great and but only take minutes (stripers charge a fortune to do these -- and there's nothing to it!)... and tons more! 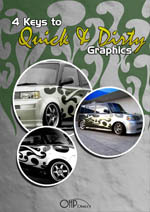 Advanced Auto & Bike painting techniques including complex graphics layout and graphics work. 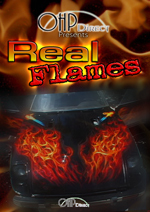 Ever wonder how custom painters can create realistic looking flames? This package pulls the curtain back on the simple steps to creating realistic looking fire quickly and without fuss. The simple layering tricks you'll learn take all the mystery out of this technique. You'll also learn how to create 5 different flame types including: jet blast, windswept flames, ribbon flames, hot-spots, and break-away flames. 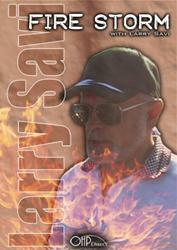 Plus as a bonus you'll learn how to create stylized tribal flames. This package is focused on teaching a beginner how to complete a custom painting project in just a few short days and with a minimal budget. The key isn't skimping on materials, it's all about planning. With a set plan you can avoid waste, increase materials efficiency, and finish you project in a weekend, even if this is your first time painting a car or bike. 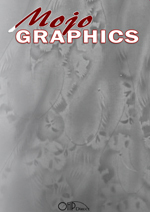 Learn how to use one stencil to create dozens of complex graphics and effects. 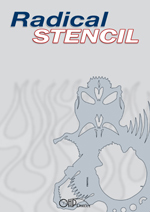 This packaged comes with a durable custom painting stencil you can use right away to duplicate the custom graphics demonstrated in this DVD package, or use this stencil to create your own wicked designs. 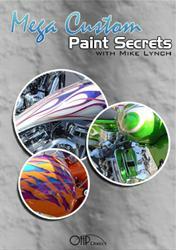 CyclePaintingSecrets.com is a subsidiary of OHP Direct, Inc.